An Afghan minister who was pushed from his job because of British and US concerns over corruption has been voted back into Hamid Karzai's cabinet as counter narcotics chief. The appointment of Zarar Ahmad Moqbel caused dismay among British officials who head international efforts to stamp out the world's largest poppy growing and opium trafficking businesses. Mr Moqbel was interior minister until late 2008 and faced widespread accusations that he was linked to rampant corruption within his ministry. The interior ministry, which is responsible for the police, became notorious during his stewardship for selling positions and appointing predatory police chiefs who often colluded with drugs traffickers. 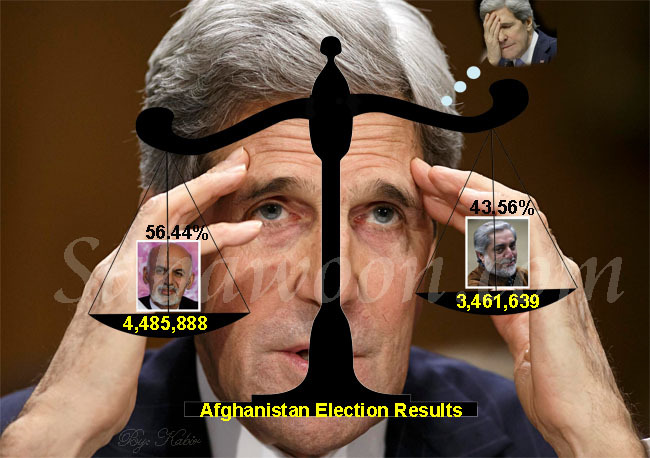 British and American officials were so concerned about the ministry's role in alienating the Afghan public, that they lobbied Mr Karzai to have him replaced in late 2008. Mr Moqbel, who is strongly backed by power brokers from the ethnic Tajik north of the country, has denied any wrongdoing and has never faced any charges. One international official said: "I don't think there's an international official in the country who will tell you they are glad to see Moqbel in the cabinet. "It's absolutely a step in the wrong direction." Another diplomat said: "We were certainly unhappy with his presence in the interior ministry, but there was never any evidence to start a process to indict him." Gordon Brown and the Nato-led coalition have stressed that continued support for Mr Karzai depended on him reforming his weak and corrupt government. He said the British government would not fund any ministries that were failing to tackle graft. The appointment of Mr Moqbel as counter narcotics minister was ratified by the lower house of the Afghan parliament along with six other nominees. However MPs rejected 10 other nominees as the long-marginalised parliament continued to rebel against Mr Karzai's authority. The parliament vetoed 17 of Mr Karzai's 24 nominees earlier this month and Saturday's rebellion against his replacement list means he has still to appoint a third of his cabinet two-and-a-half months after his election for a second term. Parliamentarians had complained Mr Karzai's nominees were inexperienced or linked to warlords and power brokers being paid back for their support in the August 20 election. The new rejections included Mr Karzai's choices for higher education, commerce, transportation, public works, refugee and border and tribal affairs. His palace said it regretted the verdict of the 224 MPs in a secret ballot on each candidate and said they had been chosen for "their talents, expertise and national participation".